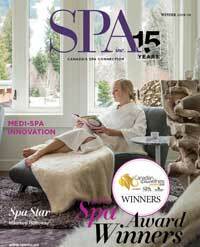 A sanctuary for relaxation | Spa Inc. Entering Le Nordik spa is like stepping into a secret world of tranquility and beauty, a refuge where peace of mind and relaxation are incubated and your troubles drift away. Situated in picturesque Old Chelsea, on the border of Gatineau Park in Quebec, just a hop from Ottawa, Le Nordik has captured the natural beauty of the surrounding area and let it guide its design. The buildings are all designed with a brick and wood exterior, with post-and-beam roofs extending over them. The spa encompasses the majestic trees and rugged rocks of the landscape. The combination of rustic charm and modern lines creates a warm environment. Numerous fireplaces are onsite offering cozy little enclaves for relaxation and quietude. 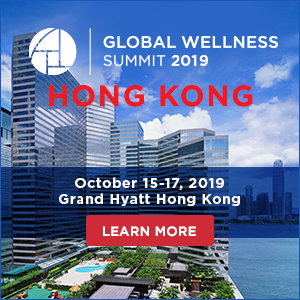 “We can have up to 200 people onsite, but with the design of little pockets of areas to relax, our visitors can isolate themselves and fell wonderfully alone in their little bubble,” says Martin Paquette, owner and president, Le Nordik spa. The very heart of the Le Nordik experience is thermotherapy, using hot and cold variations to encourage endorphin production. Different pavilions are placed strategically, like a small village, offering protection from the elements such as winds. A custom-made Finnish sauna is housed in a square log timber-frame building, with a real wood stove built by an iron maker allowing employees to feed it from outside. Inside, the 4x4 heater is topped with volcano rock and visitors are encouraged to throw water on to increase temperatures and the scent. Clients typically stay in the sauna about 10 to 15 minutes before existing to the outdoor pool for a cold dip. There’s also hot tubs onsite, and the steam room with Le Nordik’s specially made eucalyptus and mint scent. Aside from the baths, Le Nordik also offers a high-end restaurant, and massotherapy and body treatments. The well-trained masso-therapists offer Swedish, stone, and Thai massage, but not therapeutic massage. All massages offered are part of the total relaxation experience, and much effort has been made to plan massages to maximize the clients’ experience. “For example, when you get a Swedish massage, we might throw in a little shiatsu, etc—to make it really unforgettable,” Paquette says. The facial, foot and body care treatments were added to le Nordik’s offerings last December and have been customized to continue the signature trend of focusing on relaxation. 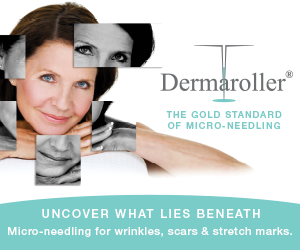 For example, during a facial treatment, the typically more invasive parts of a facial have been removed from the repertoire, and instead massage time has been added. “Our client will have their mask applied, then during the wait time, receive a foot or hand massage to increase the experience,” Paquette adds. Once a police officer in Gatineau, Paquette visited a Nordic spa in the Laurentians when training for the Ottawa marathon. The tremendous endorphin buzz he experienced transformed his life, and he began immediately to envision his future creation: Le Nordik. Today, he applies the skills of a police officer as he logically investigates every small detail with the goal of perfecting the Le Nordik experience. 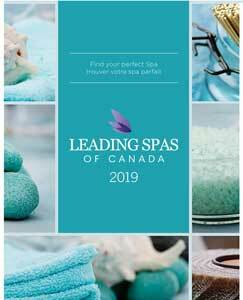 Riding on the great success of the award-winning Le Nordik, three more spa sites are in development, in Whitby, Winnipeg and Ottawa. These will be part of the corporation—not franchising—and the first one expected to open will be the Whitby location where construction is to begin in the new year, to open its door before Christmas 2012. The Le Nordik restaurant offers fine spa cuisine, with decadent treats included in many of the spa’s packages, such as wine and cheese, or fruit fondue and port. Menus are developed to integrate local products.